Miguel has been involved in some of the leading competition cases in high-tech industries and at the intersection of IP and competition law, including the European Commission’s 2005–2009 article 102 investigation into Qualcomm (which garnered the Legal Business award for Competition Team of the Year 2010), the Commission’s investigation of Samsung’s exercise of certain patent rights in litigation with Apple, the Commission’s investigation of Microsoft’s conduct regarding the Internet Explorer browser, and the proposed acquisition of NXP Semiconductors by Qualcomm (which garnered the Global Competition Review 2018 award for Merger Control Matter of the Year – Europe). Miguel also represents Qualcomm in its appeal of the Commission’s January 2018 article 102 Qualcomm (exclusivity payments) decision, as well as in the ongoing Commission Qualcomm (predation) article 102 investigation. 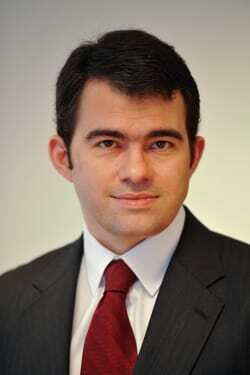 From May 2004 to November 2005, Miguel worked as a Référendaire (Clerk) at the European General Court in Luxembourg. While there, he dealt with cases pertaining to the fields of EU trademark, competition, state aid and customs law. Earlier in his career, Miguel completed a traineeship at the European Commission’s Directorate General for Competition.